In order to comprehend and meet the diverse requirements of esteemed clients, we are able to offer Sandwich Bottom Cookware. The entire range is manufactured in compliance with the international quality standard using high grade raw material and advanced technologies. To fit the requirements of patrons, we are engaged in offering high grade Sandwich Bottom Saucepan. Patrons are rising the demand of offered Induction Bottom Saucepan as it is in-tandem with established quality standards. 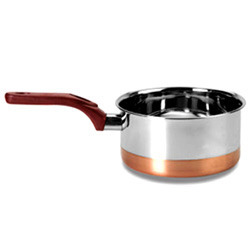 These professionals keep in mind the widely followed quality standards while manufacturing the provided Saucepan. 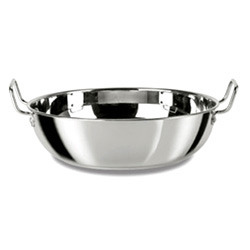 We are widely appreciated for offering the finest Sandwich Bottom Kadai. These Kadais are developed by making use high-grade stainless steel, alloy steel and carbon steel in line with the illustrated parameters of the industry to cater to the diversified demands of the clients, we offer these fasteners in different sizes and specifications.